Gastropoda, or gastropod, — a scientific term for a class of mollusks with more than 1,000 species. The main features of their appearance is familiar to everyone from early childhood: the house on the back, horns-eyes and one leg. Start exploring compatriots snail goes back centuries, but only the arrival on the Russian land French cuisine made gastronomic nuances in the characteristics of these interesting creatures. Living in fresh and sea water, crawling on trees, flowers, plants and land snails have the different food addictions. Among them are cannibals, eating their own kind, there are fans to feast on small insects. Struggle to cope gardeners with the invasion of snails, reducing the productivity of the beds. But some of Gastropoda distinct taste, are a welcome prey for groceries. The tradition of eating snails in the food were not born in France, as is commonly believed, and in the Roman Empire. Snails (kohley) bred in special gardens, feeds and flour "otpaivali wine. Historical sources tell us that snails were a major part of the diet of the legionaries of Gaius Julius Caesar during the campaign in Gaul. French cuisine has also received a boost to the existence with the advent of the Italian chefs at the Royal court — they were brought by the Florentine Catherine de Medici. There are several types of edible snails. The most famous — helix and Achatina. The last gather on the African continent and some countries of South Asia. Achatina grow very quickly, and the size of their house can reach 25 cm In hibernation these residents warm belt do not fall. In contrast to the "Africans" heloxy lose precious time due to the climate, fell asleep for 4 months — from December to March. Distinctive taste nuance of European snails, appreciate, is the smell of the earth, the most intense from Burgundy and the less intense Gastropoda from the Balkans. In the wild the first video highlights are collected in may and June, the second in early spring. 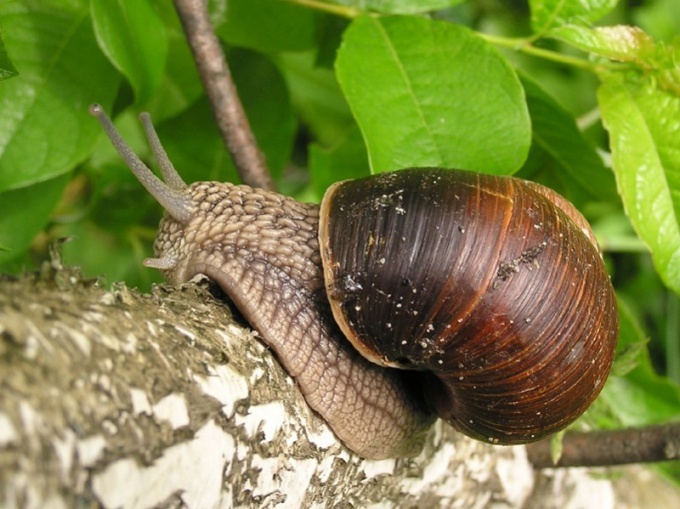 The meat of a Burgundy snail has a light brown shade of the Balkans — much darker, the same color differences characteristic of the shells of both species. On specialized farms, the snails are collected after feeding in the fall. On the table is and ulitca caviar. The taste of Africans Achatina, according to some accounts, reminiscent of mushrooms-Russula. Soup of them, according to ancient legends, a cure from tuberculosis, but this information is in no way confirmed. Shell Achatina, unlike helixon, very fragile. Before getting on the table the snail kept on a starvation diet, with the aim of removing toxins. The most famous French dish of snails — escargot. Cooked without fat meat of a Burgundy snail (the most popular and appreciated in France) has a high protein content and a unique set of amino acids. However, the same qualities of other edible species of Gastropoda.